The successful passage of the 19th Constitutional amendment in Parliament with an overwhelming majority has resulted in the Executive Presidency ushered in by the 1978 Constitution losing some if not all of its powers. This in turn has focused the spotlight on the first Executive President of Sri Lanka –Junius Richard Jayewardene known generally as JR.
As is well known it was JR who masterminded the change of Sri Lanka’s political system from the British Westminster model to that of one closely resembling the French Gaullist Constitution. Power shifted to the President who transformed from a figurehead to an effective head of state. The post of Prime minister got devalued. The Presidential system brought in by JR Jayewardene has a long history. When JR was minister of state in the UNP government of Dudley Senanayake (1965-70) he made a path – breaking speech at the Association for the Advancement of Science. JR Jayewardene in his keynote address of Dec 14th 1966 outlined his visions of a Presidency then. He argued in favour of a Presidential system based on the USA and French models. “The executive is chosen directly by the people and is not dependent on the legislature during its period of existence , for a specified number of years. Such an executive is a strong executive seated in power for a fixed number of years , not subject to the whims and fancies of an elected legislature; not afraid to take correct but unpopular decisions because of censure from its parliamentary party.” he said then. JR’s advocacy of an executive presidency sent shock waves down the political establishment then. Relations between Premier Dudley Senanayake and State minister JR Jayewardene had deteriorated at that time. Dudley was firmly opposed to the idea. There were few takers for JR’s proposal even within the United National Pary. In that environment JR was unable to push his proposal further but never let go of his vision. The next chance came six years later during the United front Govt of Mrs. Sirima Bandaranaike (1970-77). Parliament had converted itself into a Constituent assembly to draft a new Constitution. JR was then the leader of the opposition while Dudley Senanayake remained leader of the UNP. Differences between both had escalated and JR was almost a “lone wolf” within the party at that time. On July 2nd 1971, JR moved a resolution in the Constituent assembly. It read as follows-“The Executive power of the state shall be vested in the President of the Republic, who shall exercise it in accordance with the provisions of the Constitution. The President of the Republic shall be elected for seven years for one term only by the direct vote of every citizen over 18 years. The President of the republic shall preside over the council of ministers”. JR’s motion was seconded at the Constituent Assembly by Ranasinghe Premadasa who was then the Colombo Central MP and chief opposition whip. JR argued eloquently in support of an executive presidency within the Constituent assembly. The motion was shot down .Constitutional Affairs minister Dr. Colvin R de Silva led the Govt onslaught against JR’s proposal. Even the majority of UNP Parliamentarians were not supportive as party leader Dudley Senanayake himself was firmly opposed to the idea. The JR –Premadasa motion was rejected by the Constituent Assembly then. The UF govt brought in the new Republican Constitution on May 22nd 1972. The Governor –General under the Soulbury Constitution gave way to the President. As a result Power however was vested in Parliament known then as the National State Assembly. 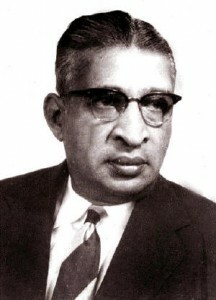 While William Gopallawa as President was the titular head, real power was retained by the Prime minister Sirima Bandaranaike. The UNP manifesto of 1977 stated “Executive power will be vested in a President elected from time to time by the people. The Constitution will also preserve the Parliamentary system we are used to for the Prime Minister will be chosen by the President from the party that commands a majority in Parliament and the ministers of the cabinet will be also elected members of Parliament”. The change to an Executive President from the Prime minister system was a key aspect of the UNP electoral campaign in 1977.The UNP swept the polls and obtained 141 of the 168 Parliamentary seats. JR Jayewardene became Prime minister in July 1977.He began moving fast towards the his cherished vision of an executive presidency. JR and a small group of ministers and party stalwarts in association with leading lawyer Mark Fernando started working towards the goal of introducing the executive presidency. The preliminary discussion was on August 7th 1977. An amendment to the Republican Constitution of 1972 was first drafted. After discussion in cabinet it was approved and certified by cabinet as “urgent in the national interest”. Thereafter it was sent by the speaker to the Constitutional court which prevailed at that time, as an “urgent bill”. The Constitutional approved the bill within 24 hours as stipulated. It was then presented to the National State Assembly for debating and voting. The bill was adopted by the then National State Assembly as the Second Constitutional Amendment on September 22nd 1977.Executive power was transferred to the President. 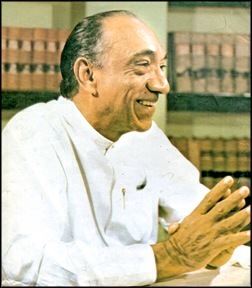 JR Jayewardene became the first Executive President of Sri Lanka on the independence day of February 4th 1978. Meanwhile JR was also working towards the goal of replacing the 1972 Constitution in its entirety with a new one. On October 20th 1977 the National State Assembly passed a resolution enabling the then Speaker Anandatissa de Alwis to appoint a Select Committee for Constitutional Reform. The essence of the Select committee mandate was “to consider the revision of the Constitution of the Republic of Sri Lanka and other written law as the committee may consider necessary”. The Parliamentary select committee was announced on November 3rd 1977.Initially the chairman was JR Jayewardene who was then representing Colombo West in Parliament. JR however had to vacate Parliament as an MP in February 1978 after he became President.Ranasinghe Premadasa who was also serving in the select committee was then appointed chairman on February 23rd 1978 by the Speaker. Premadasa was also appointed Prime minister. Other MP’s from the UNP in the select committee were Gamini Dissanayake, Lalith Athulathmudali, Ronnie de Mel, KW Devanayagam and MHM Naina Marikkar. MP’s from the SLFP appointed to the committee were Sirima Bandaranaike and Maithripala Senanayake. Ceylon Workers Congress Leader Saumiyamoorthy Thondaman who had not joined the Govt then was also on the committee. The chief opposition party of that time the Tamil United Liberation Front(TULF) refused to serve on the committee. In May 1978 both SLFP representatives withdrew from the select committee. Since the left parties had been wiped out in the 1977 poll, there were neither Trotskyites nor Communists in the committee. The executive presidency ushered in through the earlier second amendment was now streamlined and incorporated in the new draft constitution. The executive president was now head of state and head of Govt.The electoral system was also changed from the first pass the post victor system to that of proportional representation. Sri Lanka became a Democratic Socialist Republic. The new Constitution referred to popularly as the “JR constitution” was formally promulgated on September 7th 1978. After the Presidential system was installed, Prof Alfred Jeyaratnam Wilson analysed it in his book “The Gaullist system in Asia: The Constitution of Sri Lanka”. In that he observed “What Jayewardena was after was a stable executive which would not be easily swayed by pressures from within or outside. The outcome in the end was a President who in many ways can in certain circumstances , be more powerful than the French President”. Though he introduced a Presidential system, Jayewardene did not provide for a cabinet appointed from outside Parliament. He was also averse to a powerful Presidential secretariat as a parallel centre of power to the cabinet. In response to Prof. Wilson’s specific query on that issue , Jayewardene replied “ I must say I am very reluctant to appoint advisers who will be around the President. The reason is that I wish the President to have only his Prime minister and the cabinet of ministers as advisers because they represent the people as members of Parliament”. “I am the first elected Executive President, head of the stare, head of the government. It is an office of power and thus of responsibility. Since many others will succeed me I wish during my term of office to create precedents that are worthy of following. First I will always act through the cabinet and Parliament, preserving the Parliamentary system as it existed without diminution of their powers. Second I will not create a group known as the President’s men and women who will influence him”. This then was JR Jayewardene’s definition of the Presidency he had set up. This practice of following the British cabinet model and confining such cabinet ministers to be members of Parliament has created an impression that the old system prevailed still in full force. Notwithstanding Jayewardene’s claims to the contrary the reality was that governance had changed utterly in Sri Lanka after the executive presidency. The executive President was both above as well as independent of the “de- valued” legislature. What is important to note is the fact that an Executive president required full parliamentary strength to be all powerful. 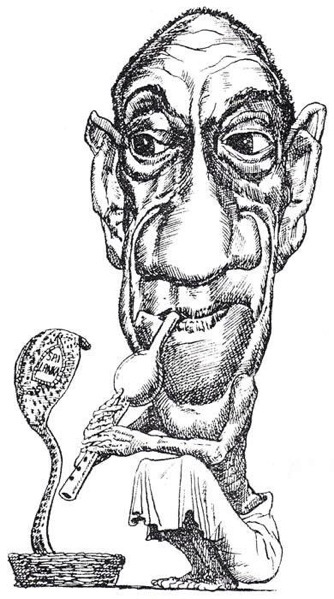 When JR Jayewardene ushered in the presidency he controlled Parliament with a five-sixth majority. Thus the gigantic majority of the UNP in Parliament enabled JR to exercise power authoritatively akin to a dictator. Jayewardene continued to retain this stranglehold on the legislature through several devices. JR froze the UNP’s Parliamentary strength of five-sixths and further extended it’s term of office through the 1982 referendum; JR prevented crossing over of MP’s from government to opposition by Constitutional legislation; JR promoted crossing over from opposition to government through the infamous “Rajadurai” amendment to the Constitution. JR also got letters of resignation from all his MP’s other than S. Thondaman. Thus the first Sri Lankan executive president Junius Richard Jayewardene in practice became a Constitutional “dictator”.